We've been working on Growth Mindset a great deal this year. After watching the Ted Talk from Angela Lee Duckworth about grit and perseverance and the amazing Carol Dweck on Growth Mindset a couple of years ago, I was SOLD on the idea of teaching my kids about the difference between growth and fixed mindset. At the end of every year, we do the infamous candy awards that celebrate my kiddo's achievements for the year. Although they are great and fun, I wanted something that reinforced what I had been working hard to teach them all year long. 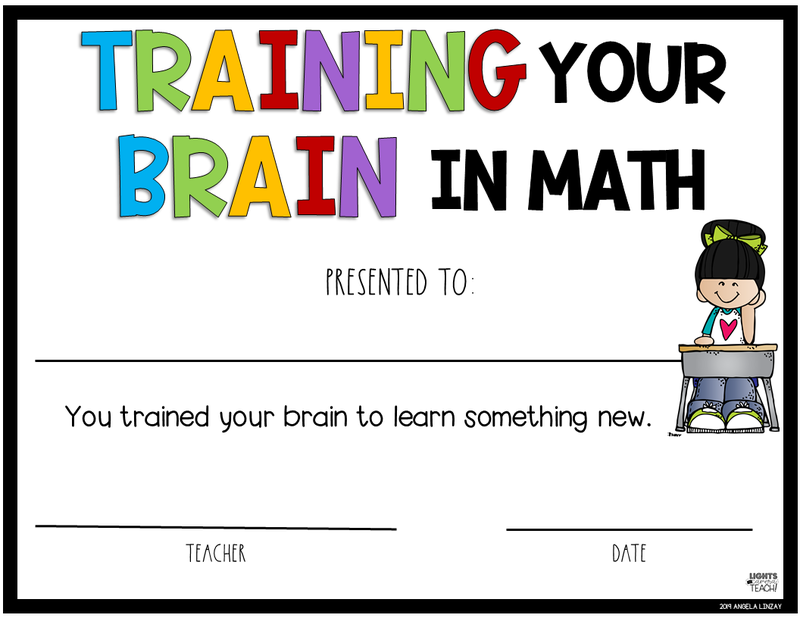 That's when the idea for my Growth Mindset Awards was born! There are PLENTY of AMAZING awards out there, but I was looking for something SPECIFIC. Something that had the same verbiage that I had been using with them these past couple of years. Words like..."grit", "perseverance", "progress", and "the power of yet". 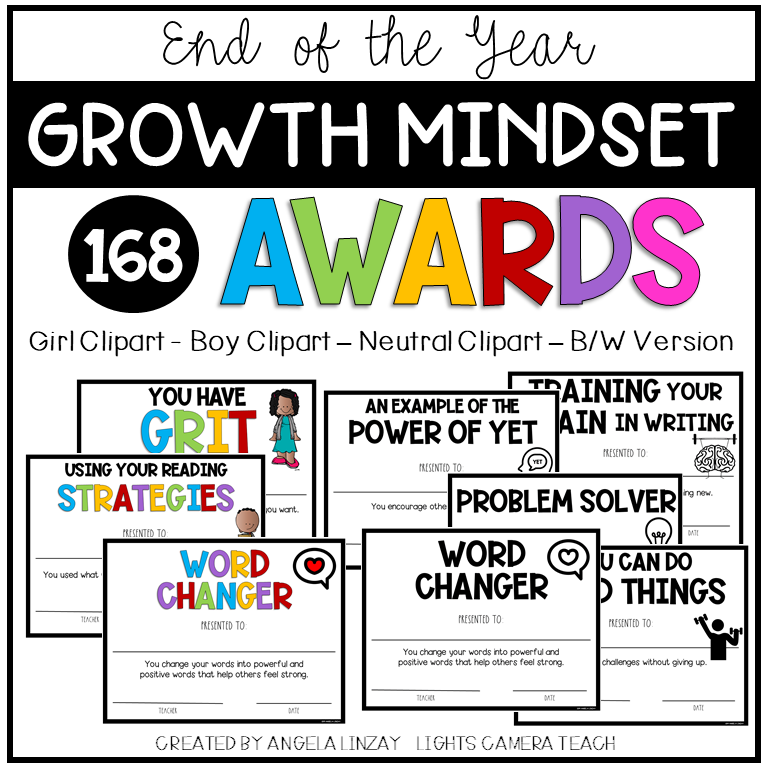 I love these awards because they are EXACTLY what I have been trying to instill in my kids. The growth and learning are in the PROCESS. I've changed. 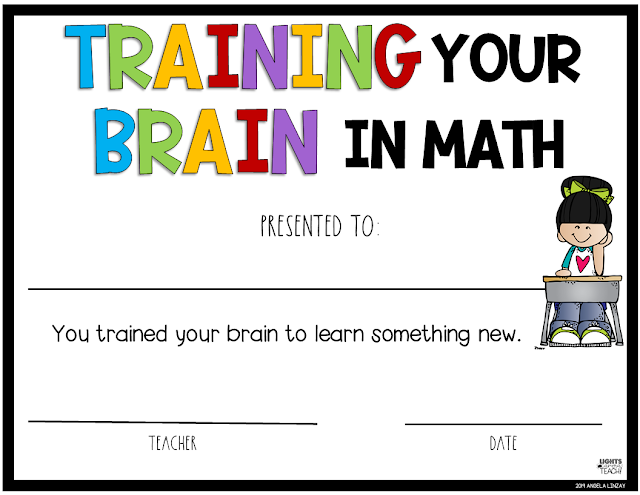 I used to be all about the results but after hearing about Growth Mindset, I slowly began changing my focus and seeing the HUGE benefits of a growth mindset. Sadly, when we focus too much on the achievement, then our kiddos won't take chances and challenge themselves for fear of failure. They will shy away from doing hard things because their goal is to "achieve". I love the words on these awards because they celebrate the PROCESS. Here, take a look at some of them. There are 42 different awards with 4 different versions of each. That means that there are 168 versions to choose from!!! Each one has a girl clipart and a boy clipart. Then we have a neutral clipart if you like that one better. I also added a version with black and white clipart for those older kids (they don't look so "young") or even a printer friendly version. To be honest, I really LOVE the black and white version. I love the look of the icons! To manage all these awards I have a planning page. I highlighted every other line with yellow so that it doesn't get confusing. Maybe it's just my old eyes, but the yellow sections help. I also added a column for the middle of the year awards because...why wait until the end of the year to celebrate these qualities??? I figure that I can do a little award ceremony right before Christmas break so the kids know what to focus on when they get back. I put the middle and end of the year column right next to each other so that I could see who already got that award the last time. I also made the awards EDITABLE. What that means is that you can type the names and dates right onto the awards. Copy and paste will be your best friend and a MAJOR time saver! 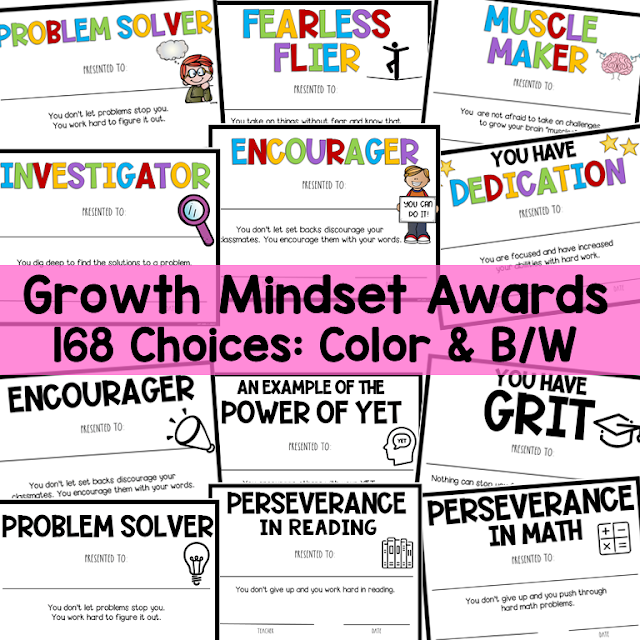 If you've been teaching about Growth Mindset, then these awards would be the PERFECT way to end your year by reinforcing what you've been focusing on!